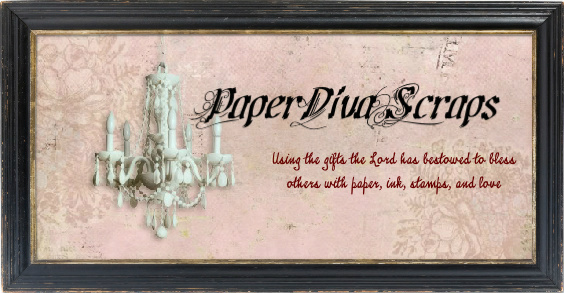 This week at Tammy's Scrappin Corner we are being sponsored by one of my favorite digi companies, A Day For Daisies! Be sure to stop by Tammy's Scrapin Corner http://www.tammyscrapincorner.com/ and show us your card this week for a chance to win some A Day For Daisy's digi's! This is such a fabulous card. All the embellishments that you added and your coloring is wonderful. Breathtaking card. So lovely with all the gemstones. Beautiful image. This is stunning, wonderful image and design. Thank you for joining us at PCJ and sharing your project. 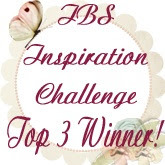 Thank you for entering Simply Create Too’s Challenge #37 – “Anything Goes”. The angels looks nice!! Lovely lace card!! Very pretty card, lovely colours, design and images. Thanks for playing along with us at Alphabet Challenge. 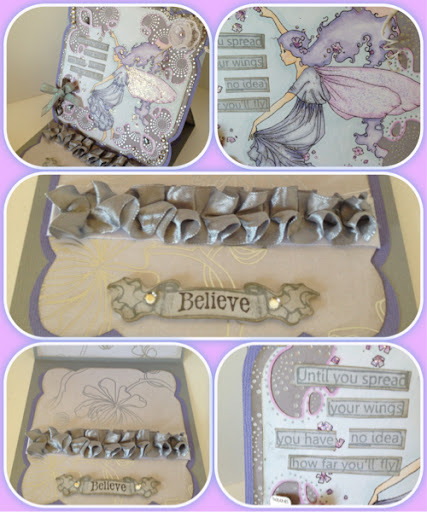 Absolutely gorgeous, beautiful image and love your bling...Thanks for joining us at Di's Digi Designs Challenge this fortnight. Great layout Thanks for joining Speedy Fox and Friends. WOW this is gorgeous! Beautiful image and fabulous bling! 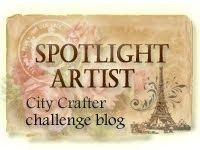 Thanks for joining us at Alphabet Challenge Blog! thank you for playing with us this week at Craft 4 Eternity. Stunning easel card design and a wonderful sentiment. a very pretty card. A lovely image and love the ribbon. 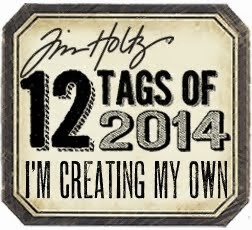 Thanks for joining our things with wings challenge at Creative Corner Challenges this week. Your card is beautiful I love it! Thanks for joining us at A Gem of a Challenge! This is totally stunning!!! 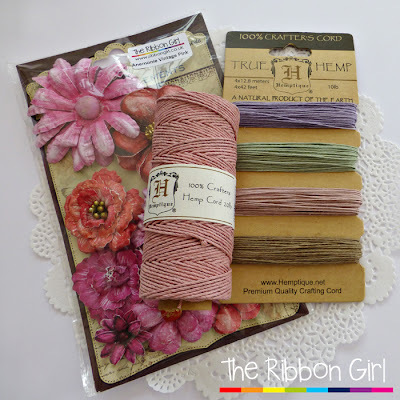 Love the ribbon you have used on this easel card. Great color combination as well. Lovely card. Thanks for joining us at Kraftin Kimmies this week! So many lovely layers and your colouring on the main image is wonderful. 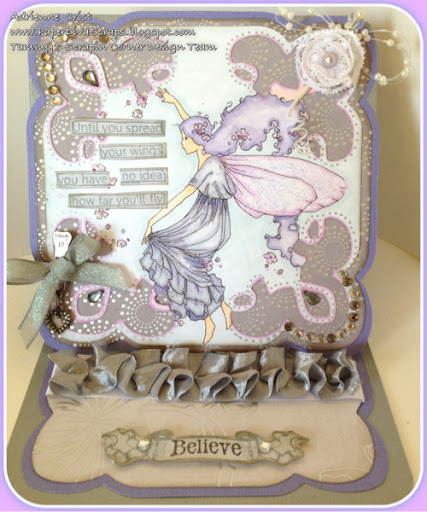 pretty easel card, thanks for sharing with us on the brown sugar challenge. Gorgeous easel card! Love the colors, all the embellishments, and your image is lovely! Thank you for joining our Corrosive Challenge this fortnight. 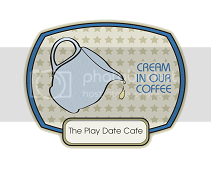 Came over from MIM to take a look at your fantastic card! I love that sweet image and your coloring. Great Shape also. 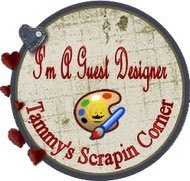 as Designer for Tammy scrappin corner this week. Just stunning. Thanks for joining us at CMC. Love seeing your creation, good luck on the challenge. What a very beautiful and elegant card this is ! Thank you for joining us at NMWC. Christa.